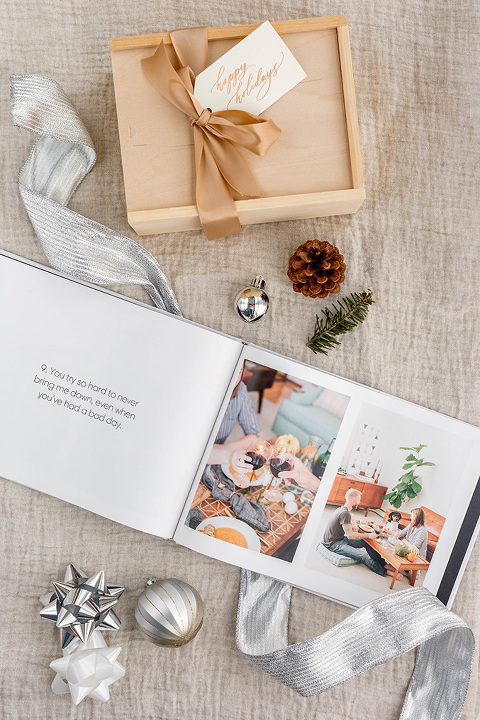 When you hear the words “photo book,” it might be easy for you to conjure up images of a nicely bound hardcover book with your family’s smiling faces peering up at you from the cover. This is obviously all very well and good, but, being the overachieving creative that I am, I wanted to take things further. I wanted to stretch the concept of a photo book and give the already-sweet idea a little more pizzaz—a little more personality and (dare I say it) heart. To prove that it’s possible—and with a little motivation from the folks over at Snapfish—I tucked myself away in a cozy reading chair to brainstorm ideas for a custom 8×11 hardcover photo book of our own. I played around with ideas like a cookbook, a page-by-page family tree, and even a DIY projects manual featuring a few favorite images and tutorials from this little blog (feel free to steal those ideas for yourself if you’d like, by the way). In the end, though, I decided to treat my hubby to a simple book-form list of 12 reasons why I love him. 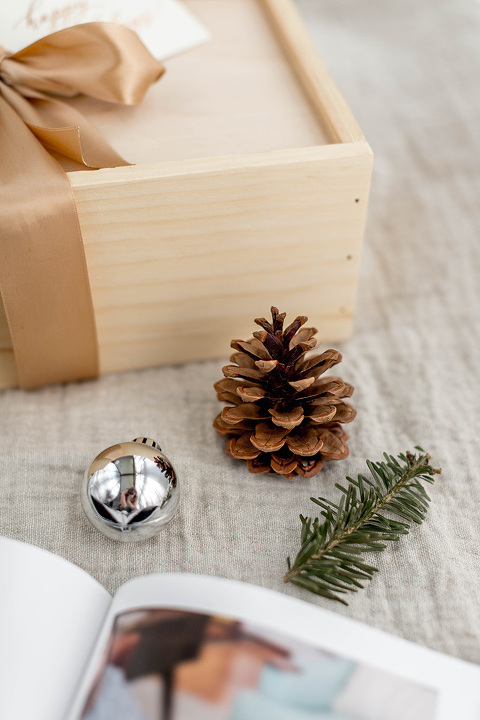 I decided on this idea because (A) it’s a little simpler than putting together a comprehensive crafting or cooking manual, and (B) it’s something that anyone can do for a loved one this holiday gifting season. You could make one for your best friend, your parents, a sibling, your children, or—heck—even a pet if you want to get really goofy and sentimental. Before I could bring this project to life I needed to gather my photos. I happened to have already scheduled a lifestyle photoshoot with our professional camera-weilding pals, the Mallorys, so it was the perfect way to kill a bunch of birds with one stone. Those lifestyle stories that we shot will be rolling out here on the blog soon enough, but in the meantime, you can get a little sneak peek through the photo book I made for John pictured here. The collection features photos of us sitting in and around our home, and I think it’s worth noting that these are the first photos of us we’ve had taken since we got married back in 2012. It was time, and seeing those (slightly older) smiling mugs makes me downright giddy. Snapfish made it so easy to put the book together once I had all of the Mallorys’ photos of us downloaded to my computer. 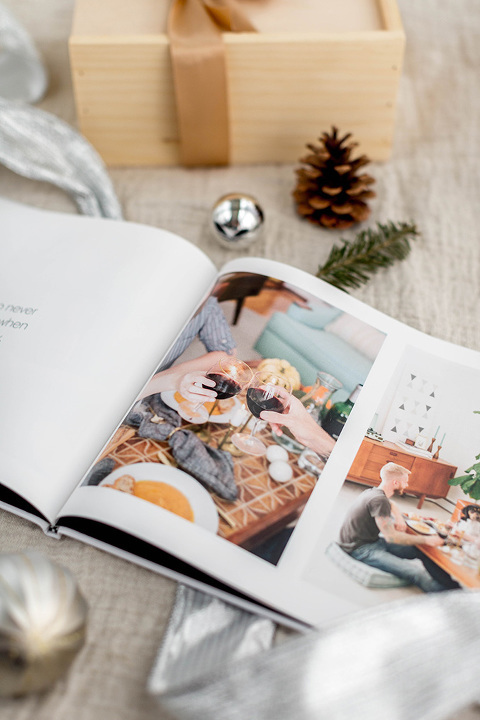 Although there are tons of different pre-made photo book themes to choose from (including super cute Christmas designs! ), I decided to go with an all-white version to allow our new family photos to really shine. Then I clicked the prompts to add our photos and placed them one by one on the digital pages of our photo book. I could decide if I wanted two photos, one photo, big photos, or small ones, etc. Finally, I added text to the pages to list off my top 12 reasons for loving my hubby. I went a little cheesy for some, a little cheeky for others, but all in all, my hope is that the book can be something we look back on and smile at through the years—not just because of the sweet family photos, but because of my reasons for loving John that I’m sure will evolve as time goes by. With a few final revisions and a triple spell check, I ordered the book and it arrived within a week. Unfortunately, I wasn’t quick enough to get it wrapped for Christmas and John discovered it sitting out on the kitchen counter when he got home from work. I didn’t realize it until I started hearing little periodic “Awwwww!”s and the sound of turning pages coming from the kitchen. I couldn’t help but smile, though, knowing that the book had hit the right mark. 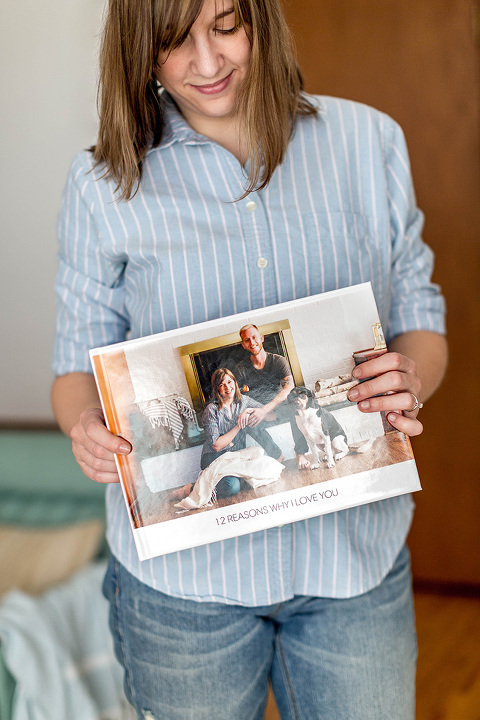 Save 40% off your own Snapfish photo book order using the code “CARRIEBOOK40”, and tell me in the comments below to whom you might gift a similar ’12 Reasons Why I Love You’ book!